Brexit and the uncertainty that it brings is the number one cause for British consumers refraining from spending their normal amounts, according to clothing retailers Asos and Sports Direct, who both admitted that the month of November, for which figures have been released earlier this week, were nothing short of a disaster. Consumers switched to buy online in great numbers a few years ago, and it was expected that as a result they would collectively destroy the brick and mortar stores. Thousands of jobs would be lost and the large online giants would pick up the profits. But now it appears that those online players are not immune to an uppercut. Not even in the run-up to the lucrative holidays. Because earlier this week the great British online clothing vendor Asos sent a profit warning. This follows a 'significant deterioration' of the sales figures in November. Asos is present in 230 countries and regions. One clear reason is not put forward. There is a range of explanations ready. An important thing is that during Black Friday e-commerce retailers in Europe exaggerated with discounts to such an extent that Asos could no longer follow. The bar was too low. Asos' CEO said that discounts are now offered in clothing sales' as I have never seen before '. With their race to the bottom, online retailers not only knock out the classic stores, with their high rent and staff costs, but also each other. Recently Inditex, the company behind Zara, pointed to the particularly sharp discounts in the sector, and it claimed no to participate. It resulted in lower growth figures. But there is more to it. Because according to Asos, customers simply spend less. In doing so, attention is drawn to economic uncertainties, in which Brexit is clearly taking the top spot. Not only Asos suffers. At the end of last week, Mike Ashley, Sports Direct's ceo, said that the biggest sportswear retailer in the UK had seen a month of November that was "unbelievably bad". "Retailers can not take this uncertainty," he said. "This blows them to pieces." And the malaise goes beyond the UK alone, because in France and Germany the sales results were also bad. 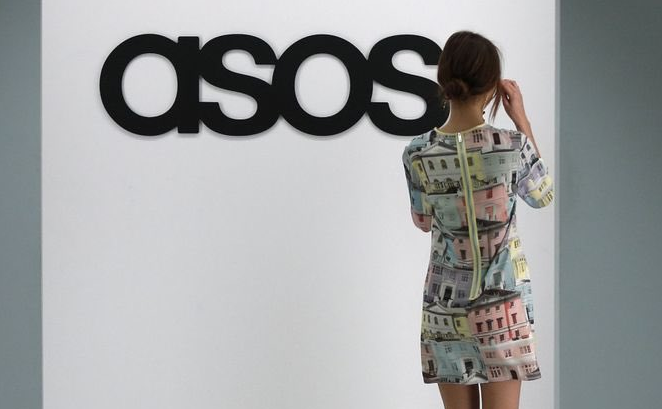 As a result, the share price of Asos took a heavy blow: the price dropped nearly 40 percent. It’s fall dragged other online vendors like Zalando (-18 percent) with it. If Asos is having such a hard time in the UK and Europe, observers reason, then one can only wonder how bad the others are doing.